With Scale 15x less than a month away, final touches are being made to the schedule including Sunday’s keynote. 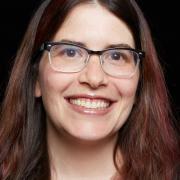 The SCALE team is excited to announce that the Sunday keynote speaker will be Karen Sandler, who will deliver In the Scheme of Things, How Important is Software Freedom? In addition to her keynote session, she will also be leading sessions on open-source friendly employment agreements in SCALE's open source and free software legal education program. SCALE's open-source legal program offers attorneys and opportunity to become familiar with FLOSS legal topics while earning continued learning education credits.